Denise Covey: Release day -- Time and Circumstance by Theresa Milstein -- guest post. 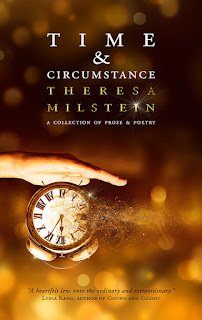 Release day -- Time and Circumstance by Theresa Milstein -- guest post. This year I've made a commitment to read and review more blogger books and do the occasional host post on bloggers whose books I've read. 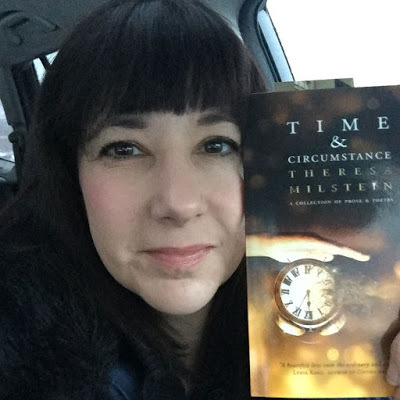 Today I'm hosting a blogger I've known for years, fellow teacher Theresa Milstein. 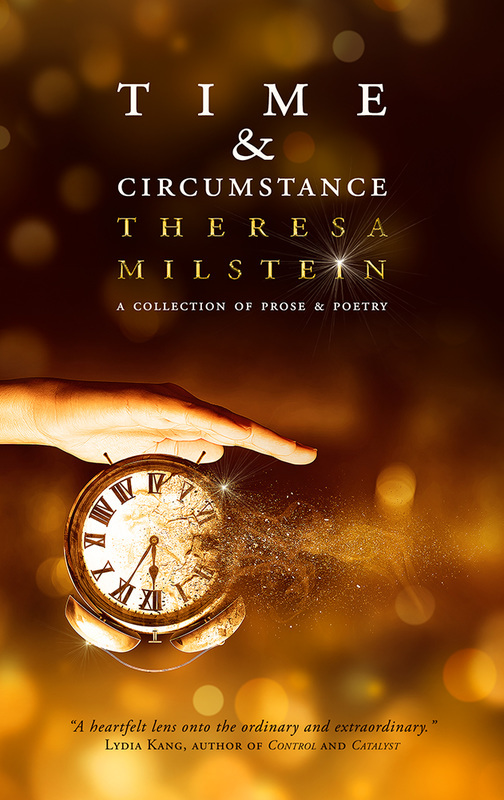 She was kind enough to send me a copy of her book, Time & Circumstance for review, which I devoured very quickly, being a huge fan of flash fiction and poetry. And, great news, it's released TODAY! 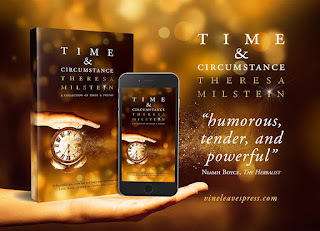 Time and Circumstance is especially interesting, as we don't often see a compilation of both flash fiction and poetry. PART ONE - TEMPO ADAGIO is prose, cutting edge slices of life, beautifully written, at times humorous, at times poignant, at times sad. Theresa captured my attention right from the first story - RESOLUTION - told from the POV of an 18 year old college student. The protagonist is torn between the nostalgic TV shows she finds addictive such as Bewitched and her college attendance. I love the lines: 'Who wouldn't perform magic to make their lives better?' Who indeed? PART TWO - TEMPO ALLEGRO, is the poetry selection. Theresa's love of poetry shines through. I was taken by her (I'm not sure what they're called in the US,) shape poems, especially the PERFECT STATE OF BEING where she writes about Spirit Mind Body. I love the poem and how it appears on the page. I hope I've given you the tiniest taste of Theresa's excellent book. I hope you'll support her on her blog tour (go HERE for the times/dates/hosts) and be convinced to buy her book. So, over to you, Theresa! The ways these stories came about are as varied as the stories themselves. After writing full-length manuscripts for children and teens seriously for five or six years, I finally started writing short stories. I’d heard I would learn to make every word count. Also, I wanted to start being published, and Stephen King started by getting short stories published. 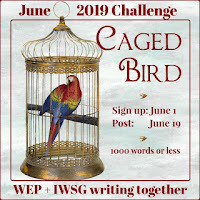 Around the same time I began writing short stories, I wrote some flash fiction based on some blog challenges and I took a poetry workshop series. 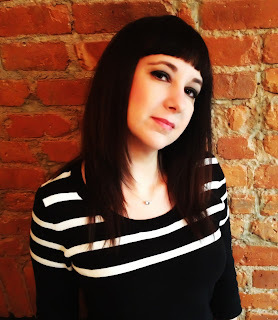 Then Jessica Bell began Vine Leaves Literary Journal to promote the vignette. Realizing there could be pieces where the main goal wasn’t beginning-middle-end was freeing for me. I enjoyed taking a small space and expanding on mood, setting, character. The first part of my book, Time and Circumstance, is dedicated to prose. 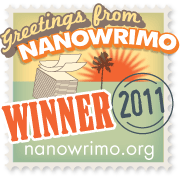 I included “Daisy,” which is the first story I ever submitted and which got published. It was originally in an anthology 100 Stories for Queensland to raise money for flood victims. It was the first piece I’d ever written for adults, and it’s deliciously dark. The original inspiration is from a TV show called L.A. Law. I can’t say which episode, or it will give the ending away! 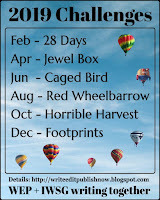 The pieces included in that section were also inspired by picture prompts, blog challenges, and events in my own life. The second part of the book is dedicated to poetry. There too is the first poem I ever got published, “Dark Days,” which appeared in Vine Leaves Literary Journal. That poem explores a broken family from the perspective of a teen. I often paired the poetry in this section with picture prompts from a now inactive blog called “Magpie Tales.” Sometimes I wrote the poem first, and when a photo or painting posted that seemed to fit, I connected them. Other times the paintings and photos inspired me to write a poem. But many poems are inspired by my own life. When I began pulling pieces for the collection, written over five years, this theme of the unrelenting passage of time surfaced. In these last couple of years as my children are growing, it’s been weighing on me what a short gift I had to have this family of four. People we love come into our lives just as easily as they leave it. No matter how much we want to hold onto time, every moment is just a phase. And we are a product of our time, our circumstance. So my favorite quote by James Baldwin became the title to bring these small pieces together. 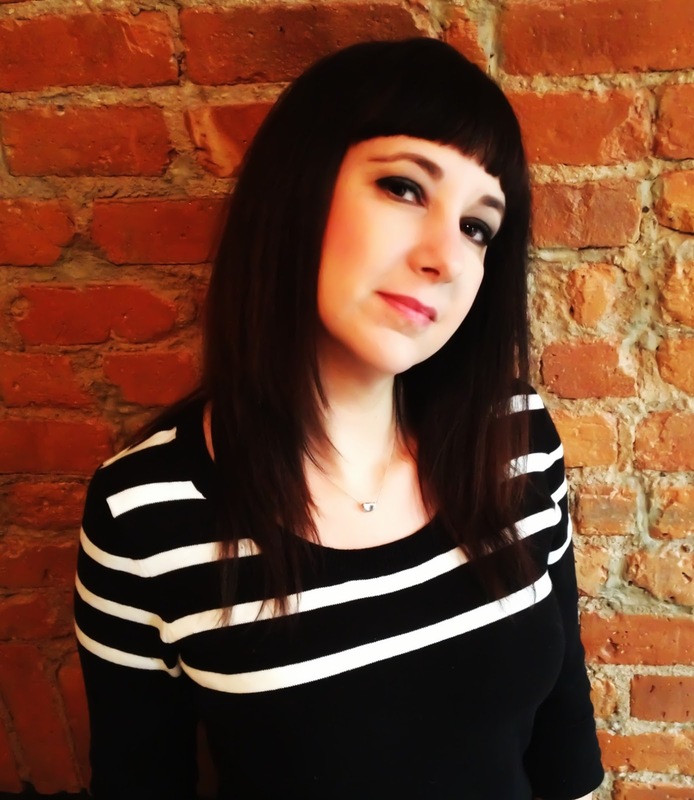 Theresa Milstein writes middle grade and YA, but poetry is her secret passion. Her vignette collection, TIME and CIRCUMSTANCE, will be published by Vine Leaves Press on March 21, 2017. She lives near Boston Massachusetts with her husband, two children, a dog-like cat, and a cat-like dog. For her day job, she works as a special education teacher in a public school, which gives her ample opportunity to observe teens and tweens in their natural habitat. Thanks so much for dropping by and telling us more about yourself, your writing, and your book, Theresa. I wish you happy trails and happy sales! 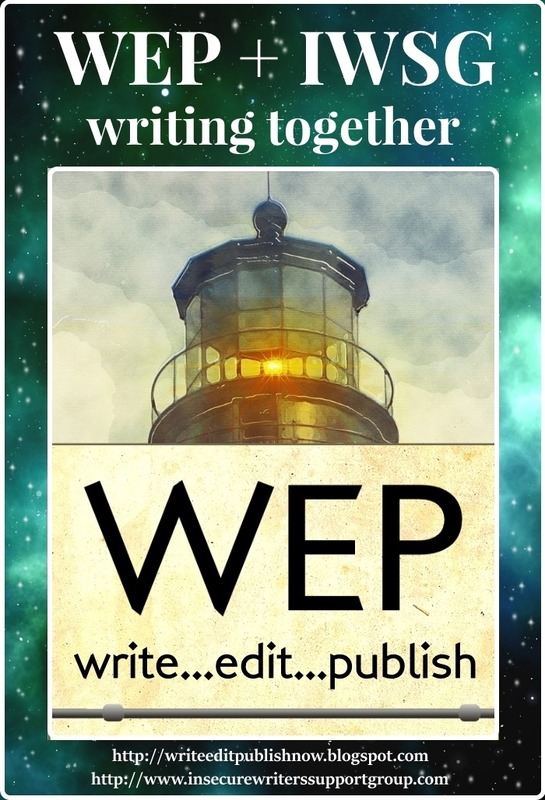 I'm especially interested in how many of your stories/poems were the product of participating in blog challenges etc. I can say the same thing happens with me. Time does move so quickly and we really do have to hang on to the moments we can before they waft away! Jemi, that is so true. That's basically the theme of my collection. Thank you very much for hosting me, Denise! Great to have you at my pad, Theresa. Sorry I got you focused so early, LOL! Hi, Hilary. Great to run into you again. Putting this book together reminded me that I spend too much time trying to hold onto a moment when I should just appreciate it. I'll try harder. Hi Hil! I'm you're enjoying the tour. I remember when Jessica started Vine Leaves - what a blessing for you that she did so! You found your niche and your gift. Thanks, Alex. Yes, I owe Jessica a lot! Happy Release Day, Theresa! So very excited for you. Awesome that you kept on writing and now here you are, a published author. Yay! Even more amazing because you were going to school to get your degree too. Natalie, sometimes the more we have to do, the more we want to make the time. Other times, not so much! Congrats on your release! Time sure does move quickly and a moment can matter. No sure if I'd go back to any. Pat, thank you. Nice that you're in the present or looking ahead! So excited about your book T! It's inspiring me to work on some not kidlit stuff. Another moment I'd like to relive is my last trip to England before my Nanny died. I would have spent more time sitting and listening rather than trying to clean. For her. So glad I've inspired you, Sharon. I don't blame you for wanting that last trip to England again. No matter how much we want to hold onto time, every moment is just a phase - so very true, and what a great theme for a collection like this. Hope it does well! Thank you so much, Botanist. Time is indeed fleeting. And children grow up way too fast. Flash fiction and poetry? two of my favourite genres -should be combined more often! All the very best for the collection's success. Thanks, Nilanjana. I do like putting them together, especially since they both feel like I use the same part of my brain, if that makes sense. That's kind of you to say, Annalisa. Thank you! Thank you very much, Chrys Fey. I'm so happy and excited for Theresa! And I'm enjoying her posts all around! Hi Nas. I'm glad you're enjoying Theresa's tour. Interesting, I am off to Amazon. If I could relive a moment in time it would be to be with my brother and parents all who have passed on. Diane S, thanks for sharing. I don't blame you--how nice to see people you love again. Congrats Theresa! This is exciting. Congratulations to Theresa! So excited for her. DMS, I appreciate your support. Thank you! Congratulations to Theresa. Lovely review, Denise. I hope life is being kind. Thank you Nicola. Life's good. How about you? Nicola, I loved Denise's review. Good Luck, Theresa, love the cover. Great review. I swear I was here before! :) Sometimes things just don't work right. I hope the storm hasn't destroyed to much and that family is all fine! Thanks matey. Where I live is still standing. Can't say the same for the beach towns north of here. So sad. Yolanda, I'm glad Denise is fine. So sad about the nearby area. Denise, thanks again for hosting me. 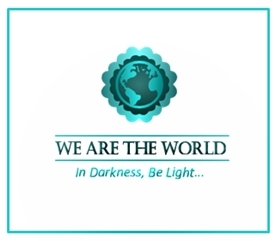 I've announced the winner on my blog.